We at Bedrooms Plus are one of the UK's leading suppliers in Fitted Bedroom Furniture and are renowned for our Sliding Wardrobe Doors and Quality Furniture Hardware. We have a showroom in South Lanarkshire (open Monday to Saturday) where we can help you one on one to find your perfect fit! We have been manufacturing Sliding Wardrobe Doors in the UK since 1980 and we still hand make the products to this day, ensuring a high quality finish on every product. We do things a little differently as we realise that ordering sliding doors can be complicated sometimes. For this reason we dedicate a single point of contact to assist with all orders from start to finish. We can give advice on measuring, door design and even do all the calculations so you know how much space you will have in each wardrobe. We deliver our products to the whole of the UK & Ireland with every postcode in the UK being served at least once a week. For over 35 years we have made quality our number one focus and we back this up with the best possible level of customer service which is backed up by our reviews. If you have any questions at all please feel free to contact us and one of our friendly team members will be there to take your call. Maxwells Scotland Ltd is a family run company with over 40+ years combined experience within the industry. Our projects are managed by our construction specialist who is a Member of the Association of Master Tradesmen and is a Master Carpenter to trade. We work with an emphasis on client care thus providing a much more personal service, which allows us to be creative, & inspirational in our attentiveness to help realise your plans and ideas. Within our on-site workshop facility, we are able to bespoke manufacture a variety of items including kitchens, furniture, wardrobes, doors, architraves and windows including sash & case, to name but a few, working with our clients and their budget, ensuring high-quality workmanship and products alongside customer satisfaction. Whilst a large proportion of what we manufacture is often used in our construction projects, we are happy to manufacture and supply bespoke items out-with our construction service, thereby allowing us to offer a truly unique service. Our roots began in the building construction industry and we have now developed to include specialised bespoke joinery and manufacturing services, this diversification fully utilises our on-site workshop facility, where all our products are handcrafted and finished. Many of our projects and commissions have been return clients or new clients who have come to us through recommendations. Paul Hodgkiss Designs is a family run business based in Glasgow, Scotland. We are a creative Scottish company that has built a reputation for beautiful distinctive hand crafted furniture and fittings, designing interiors for both commercial and residential customers. We also source and stock an eclectic and exclusive range of furniture & home accessories that compliment our own Paul Hodgkiss Designs furniture, lighting and Wood for Food kitchen range. 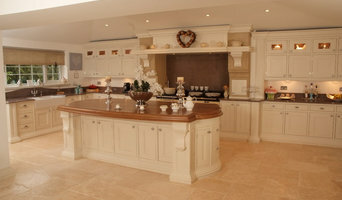 Tudorwood work surfaces is a small run business that designs and manufactures handmade bespoke furniture. Our designs are tailored to meet the exact needs of our clients. We specialise in kitchens, bedrooms and bathrooms and more. We are also fabricators of Corian worktops We pride ourselves on the highest quality of hand crafted furniture to ensure that our clients have the perfect finished item. All manufacturing is completed within the work shop which reduces disruption time to our clients home at the insulation period. David Watson is a designer and maker of fine furniture. From his workshop in Inverclyde, Scotland, David and his team of skilled craftsmen manufacture high quality furniture and furnishings. David’s creative drive and attention to detail has ensured continuous client satisfaction along with industry recognition for excellence in design and craftsmanship, receiving the Visual Arts Scotland Award for Applied Arts 2016. Serving domestic and commercial clients in the UK and internationally, he has produced a wide selection of work over the years, from bespoke projects to innovative designs. Wildwood Furniture was established in 1998 by furniture designer / maker Rowland Ziervogel. The ethos behind Wildwood Design is simple - to design and build beautiful furniture - furniture which does not compete for your attention but complements your living space. Wilwood uses temperate hardwoods from North America such as oak and ash along-with a combination of traditional techniques and modern equipment - free from the constraints of mass-production the designs reflect more faithfully the original concept and not the usual trade-off between design and production. Glasgow based furniture makers, Turner Furniture pride there work ethos on meticulous attention to detail in both quality of product and client liaison. All pieces are designed and handcrafted in Scotland using your own visions but fused with the expertise of a master craftsman. Ronnie has his workshop in Falkirk in the central belt of Scotland. After several careers including working as an aircraft engineer in the Royal Air Force, he graduated as a cabinet maker from the world-renowned Chippendale International School of Furniture in East Lothian. He is now putting those skills to use designing and creating bespoke pieces of furniture. 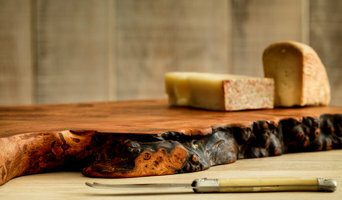 Wood has great character and Ronnie loves using the visual characteristics to enhance any piece of furniture he makes. He is not restricted to any particular style or type but can craft a piece to suit the customer’s home/business or idea. I am a designer and maker of bespoke furniture for the house and boat. Based in the beautiful Loch Lomond and the Trossachs National Park just north of Glagow I work to commission using locally sourced Scottish hardwoods. Whether a fine staircase, fitted kitchen, small table or trinket box, your unique hand-crafted Corrie Woodworking purchase in beautifully finished wood will not only be functional but something to be enjoyed forever. 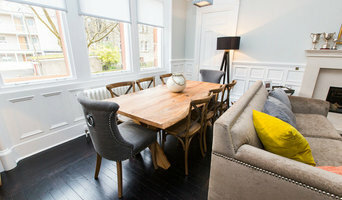 Why should I hire a Glasgow, Glasgow City cabinet maker? Cabinet makers are skilled craftsmen who can design, make, rework and repair cabinets and cupboards. They can create bespoke storage or kitchen units for your home that meet your needs and fit with your interiors. They can also advise you on materials and cabinetry styles if you’re not completely sure on the design yet. With the right bespoke cabinet makers in Glasgow, Glasgow City, no cabinetry job is too difficult, so even if you have a tricky corner space that you want to utilise, a Glasgow, Glasgow City cabinet maker can create a cupboard to your specifications. Bespoke cabinet makers are more than just bathroom or kitchen cabinet manufacturers and they can be commissioned to create storage cabinetry around the home. Bespoke TV cabinets are in popular demand due to the variations of TVs, consoles, digital TV boxes, DVD players and other items that we want to keep near to our televisions. Skilled cabinet makers in Glasgow, Glasgow City can create a one-of-a-kind TV cabinet or media centre to house all your entertainment goodies. If you already have cabinets or cupboards that you’d like to keep, but they’re just in dire need of a facelift, then bespoke cabinet makers may be able to help, too. You may wish to replace kitchen cabinet doors, give your cupboards a new colour, add decorative elements or use a special finish; whatever the cabinetry task, ask cabinet makers in Glasgow, Glasgow City if they can help you. If you need the help of a cabinetry professional when renovating a home, make sure they are happy to work with any other professionals working on the project. Here are some related professionals and vendors to complement the work of cabinet makers: Kitchen & Bathroom Designers, Kitchen & Bathroom Fitters, Interior Designers, Home Storage Designers & Professional Organisers, Carpenters & Joiners. How long have you been cabinet makers in Glasgow, Glasgow City? Find a cabinet maker on Houzz. Narrow your search in the Professionals section of the website to Glasgow, Glasgow City bespoke cabinet makers and cabinetry. You may also look through Glasgow, Glasgow City photos to find examples of cabinets that you like, then contact the cabinet makers in Glasgow, Glasgow City who worked on them.